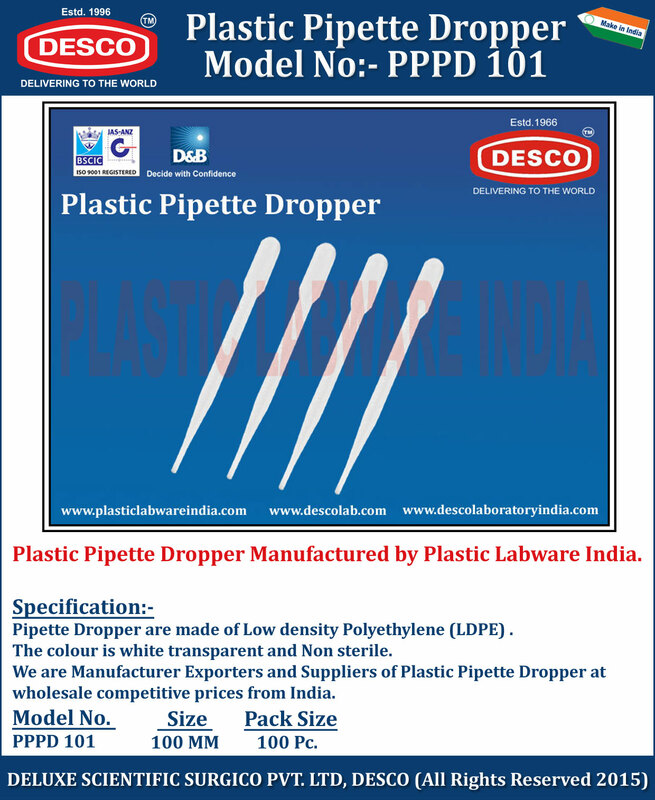 Pipette Dropper are made of Low density Polyethylene (LDPE) . The colour is white transparent and Non sterile. We are Manufacturer Exporters and Suppliers of Plastic Pipette Dropper at wholesale competitive prices from India. PPPD 101 100 MM 100 Pc.